ORLANDO, FL—May 22, 2017 – Red Giant Entertainment Inc. (REDG), an innovative Intellectual Property company specializing in high quality characters and content for use in a variety of media and entertainment, today announced their panel at the upcoming panel, “Breaking into Comics, the Digital Way” at MegaCon in Orlando, FL, Saturday, May 27 at 5PM, in the Orange County Convention Center in Room N220E. Editorial and creative staff will be on hand to conduct a presentation regarding methods for aspiring creators to break into the world of comics i n the modern age. Further, the panel will host Q&A on the subject as well as highlight the role of their new imprint, Absolute Comics Group in offering creators a method for breaking into the world of comic publishing. 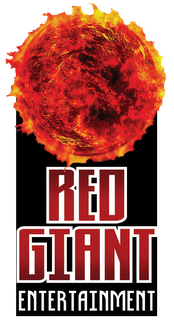 Red Giant and Absolute Comics also have a booth at the event running May 25-28, at booth #1182. Staff will be present for portfolio reviews for new talent as well as any creative teams who wish to join the newly-announced imprint, Absolute Comics Group. The Absolute Comics Group imprint will publish a variety of traditional-format comic book titles, followed by trade paperbacks collecting the issues for those titles. These titles will be distributed through thousands of comic book specialty and book stores worldwide, beginning with the August 2017 Previews order catalog. 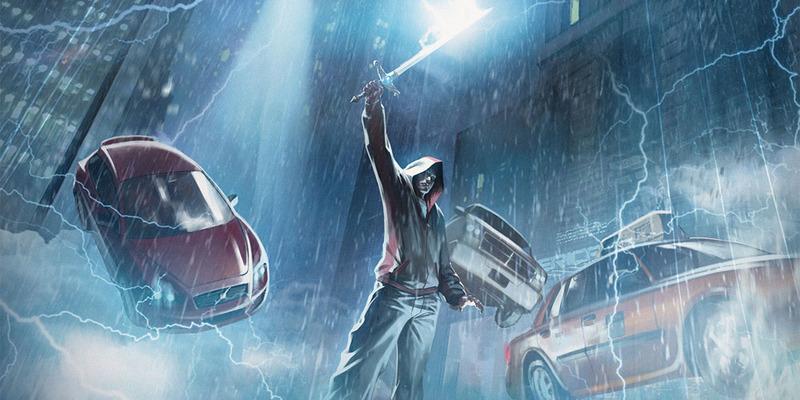 A line of “creator-owned” titles, offering talented creators, both newcomer and established, an exciting new home for bringing their own universes to life. A line of licensed titles based on properties from television, movies, video games, and new media to broaden brand awareness. MegaCon Orlando is the Southeast’s largest comic, sci-fi, horror, anime and gaming convention. The pop culture extravaganza will be host to more than 100,000 fans, attending MegaCon Orlando at the Orange County Convention Center on Memorial Day Weekend 2017. More information on MegaCon Orlando can be found at www.megaconorlando.com. MegaCon Orlando is owned by FAN EXPO HQ, one of the largest entertainment convention groups in North America. Collectively it hosts over 500,000 fans annually at FAN EXPO CANADA™, Boston Comicon, FAN EXPO VANCOUVER™, FAN EXPO REGINA™, FAN EXPO DALLAS™, Toronto ComiCon, Dallas Fan Days and MegaCon Tampa Bay. This press release may contain “forward-looking statements.” Any statements that are not statements of historical fact, including but not limited to statements containing the words “believes,” “plans,” “anticipates,” “expects,” “look forward,” “estimates” and similar expressions, should be considered to be forward-looking statements. Actual results may differ materially from those indicated by such forward-looking statements as a result of various important factors, to include acquisition, production, marketing, distribution, competition with related patent, trademark and license issues involving contractual obligations and concessions. The Company does not assume any obligation to update any forward-looking statements to reflect events or circumstances after the date of this press release, except as required by applicable law. The Company files annual, quarterly and current reports, proxy and information statements and other information with the Securities and Exchange Commission. This press release should be read in conjunction with all of the reports that the Company has previously filed with the Securities and Exchange Commission for financial and other information about it. The references to the websites http://redgiantentertainment.com and www.facebook.com have been provided as a convenience, and the information contained on such websites is not incorporated by reference into this press release. This is the official corporate blog of public company Red Giant Entertainment (REDG).